There are many reasons why you might find yourself looking for last minute Christmas gift ideas. Procrastination is the one most often cited, but I know that's not my problem. Lots of us are plain super busy, and can't get to it any sooner. I used to make most of my gifts for years, but that is getting harder, though I still try to make some. So reasons n' excuses aside, let's look at how to make short work of our last minute Christmas gift shopping by doing it online! It's a digital world - and we'll discover it is full of great last minute Christmsa gift ideas. What does she or he seem to love most? Has that person taken on a new interest lately? (Perhaps they don't have all the tools and resources, or information yet). What dreams do they have? Can you give something to encourage advancement in that direction? If you don't know them well at all, look for clues for more general - yet still thoughtful gifts. With these clues in hand, open the browser on your computer and make short-work with these last minute Christmas gift ideas. Do a search in the area of their keen interest or activity, or their favourite cause. Is there a magazine or newsletter to which you could quickly fill out the subscription form in the name and address of the one to receive your gift? Pull out your credit or debit card and pay for it. Now open your word processor and create and print a simple gift announcement card. If there is a site that sells products or items related to their favourite hobby or activity, and you are not sure what exactly to order, solve the problem by looking over that site for a gift card to purchase. Or, if you are quite sure it will be appreciated, open an account and make a deposit so that your intended gift reciever can go shopping immediately when you tell them about this last minute Christmas gift. If that site has no such option, but does have products to sell, you can skip over to one of many, MANY other sites with gift cards, and order one to be delivered to your recipient after Christmas. Again, turn to your word processor, and prepare a nice gift announcement card or note, or else write it on pretty note paper in your very own handwriting! This will delight the other person because she or he can go buy the item they would most like, and if necessary wait for a terrific sale. They'll be grateful for the perfect timing of your last minute Christmas gift ideas. If the one to receive your gift is a keen promoter of a certain favourite cause, visit the main sites related to that cause, and see if you can't make a donation in their name. Once more, you just need a way to let the recipient know that you have done this - just for them. This last minute Christmas gift idea too, will be giving much longer than for the minute or two's effort you invest. The same would apply if they would like a membership in some organization. Especially if they can't afford it on their own. (I can recall when I really wished someone would pay my membership in a writer's club, which included a subscription). When you really are not sure, or you don't know that person well, but you think a gift is in order, then a gift card is the default, all-purpose gift that fits almost every situation you can think of. (Sigh!)? Wish you were a Power Shopper? Sign up for my free email course that explains things in greater detail. However, I would caution against buying a gift card off the rotatating kiosks or stands of gift cards from all kinds of stores that you see in the supermarket now-a-days. I've been reading how easy it is for scammers to copy their numbers and then go online in a couple of days to see if it has been activiated. If so, they can hijack it from you, and run it dry before the true owner has a chance. It is much safer to order gift cards online. (See more on shopping online safely with gift cards). Go here for more on the pros and cons of gift cards. If cash is short, and you want to avoid going into debt, there is nothing wrong with creating a gift certificate with a promise of something you will do or provide at a later time or through the coming year. I have used this several times, and although there is the responsibility to see the promises through - it is a terrific solution to giving on a zero budget. I did this again for my brother who is in a wheelchair; I promised to make some special visits to do housework for him! I go over to clean his apartment for him, and IF I have enough time, I'll even do some baking for him. Tom really doesn't need any more stuff in his apartment. It's full to the gills as it is. It's the gesture that says I remember him all through the year with thoughts of gifts for him - that's what is most important. A gift of time is a true love gift. Mind you, it is important that you will have the time and resources to keep your promises made on the gift certificate. Assuming that your mind is still tossing around desperate for ideas, that you trust my recommendations, and that you do have some discretionary funds to spend, let me tell you about some things that I believe would make great last minute Christmas gift ideas. Look particularly for digital products, like e-books, that you can download, or memberships to sign up for and use over a longer period of time. 1. SBI's 2 for 1 Special! This is the creme d' la cremes of not just site-building and hosting packages, but the building of a web business. I got this very site as a gift to myself in the 2 for 1 sale. It usually comes on again with a deadline of Dec. 25th at midnight. You could do the same and buy one for yourself and one for a gift, or give both away as gifts. The folks at SiteSell are always on the cutting edge of everything e-commerce. They've helped tens of thousands of people launch successful Web businesses with SBI!. Who needs or would want an SBIl package? All kinds! Devotees of the SBI web business suite are so excited they are producing videos to brag on their SBI. Some of these are so touching, and others absolutely hilarious. See these youtube videos here; I LOVE SBI! Got an idea for an online business, (maybe for your retirement, even), but not sure if it would work? Find out!. This gift is in your hands in a matter of minutes! It may be a last minute Christmas gift idea, but it will GIVE an exciting Web Business that lasts all year long! 2. HostGator Hosting If you set up websites the way some people bake cookies, you need a good hosting package, maybe even a reseller deal so that you can rent out space to your clients. For this you'll need HostGator. 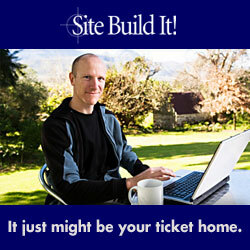 Really economical for your geeky person who wants to build his/her own sites. Most places of business will be happy to accommodate you with a gift certificate if you ask. If they do not advertise that they provide them, just inquire. If they say no, make it your business to create your own certificate that promises to pay for the gift you had in mind, or specifies the amount they may spend as they please. As I already said, you can make all kinds of creative promises in a gift certificate that you design from your heart and knowledge of the recipient. The physical look and appearance of the certificate can be as plain or fancy as you like. Let your own personality and love shine all over it! 5. Christianbook.com Home Browse there for their Gift Card, which can be sent by email or by mail, and it will allow your recipient the joy of choosing his/her own last minute Christmas gift. Amazon Gift Card - E-mail - All Occasions These are available in various denominations, and for various holidays. Keep Amazon in mind for your last minute Christmas gift ideas - or any season and special event. What do you think? Still not enough last minute Christmas gift ideas? Leave a comment and I'll see if I, or some friend, can help you.